The Northwest Urbanist | The professional blog of Scott Bonjukian, a practicing planner and urban designer in the Pacific Northwest. The professional blog of Scott Bonjukian, a practicing planner and urban designer in the Pacific Northwest. Amid Seattle’s rapidly growing inner neighborhoods remains the urban scar of Interstate 5, a massive concrete and steel ribbon that is the lasting legacy of 20th century transportation engineers. It helps move thousands of people and tons of freight every day through the biggest city in the Pacific Northwest, but it gives little to those who don’t drive and to people who live and work around it. The problems are obvious: noise, traffic, and poor urban design that makes people on the street feel isolated and wastes valuable urban land. 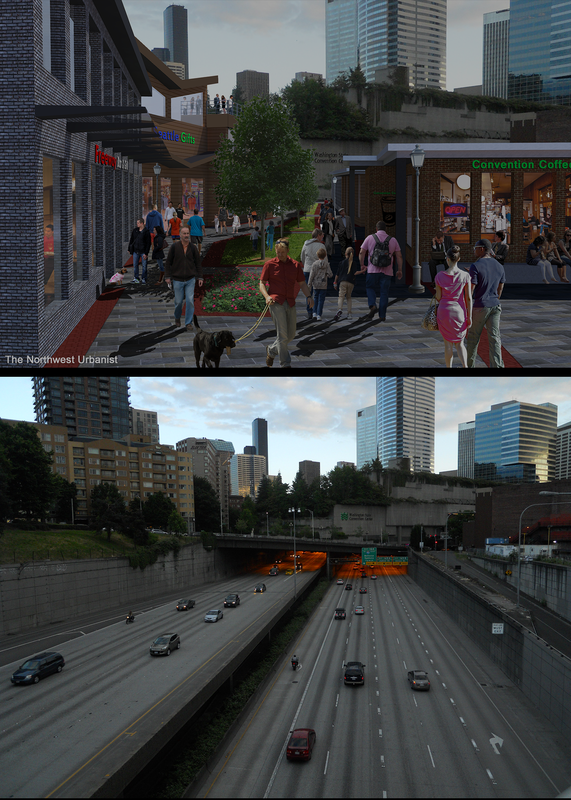 The solution is equally clear but admittedly ambitious: lidding the freeway to mitigate its sights and sounds while simultaneously transforming the public realm of Downtown Seattle. This episode of CascadiaCast is with Laura Goodfellow. 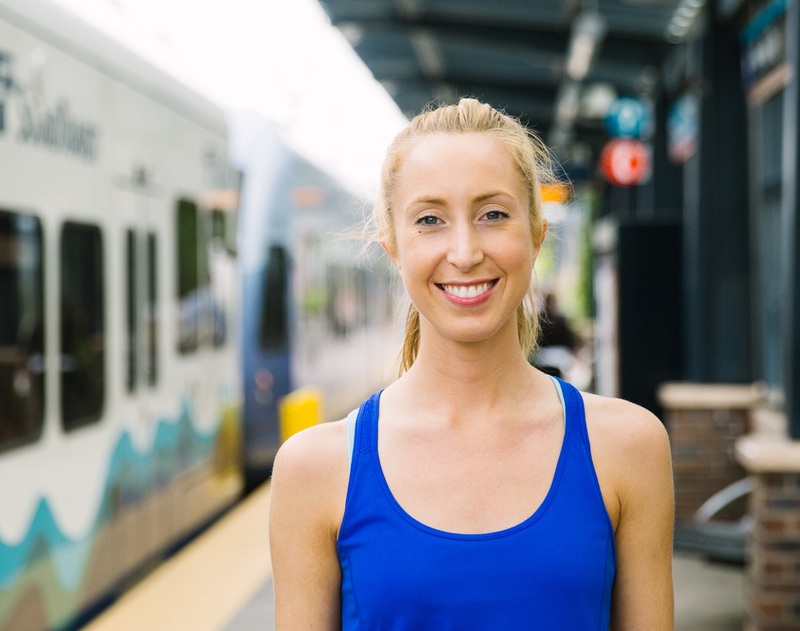 A runner since middle school, she started combining her workouts with transit routes when she moved to Seattle and took advantage of citywide and regional connections. With marathon training, most of her runs are six to eight miles but often reach into double digits. She has started attending Seattle’s pedestrian and transit advisory board meetings to get the inside scoop on local projects. Follow Laura on Twitter and check out the Seattle Transit-Oriented Runners group on Facebook, Twitter, and Meetup.com. She was also recently profiled in a blog post by Sound Transit. This episode of CascadiaCast is uniquely co-hosted with Hunter Bevis, my older brother and producer of the aviation podcast Time In Flight. By coincidence, for both of our podcasts this is episode eight! Hunter spent his formative years in North Bend, Washington and now resides in Pasadena, Maryland. 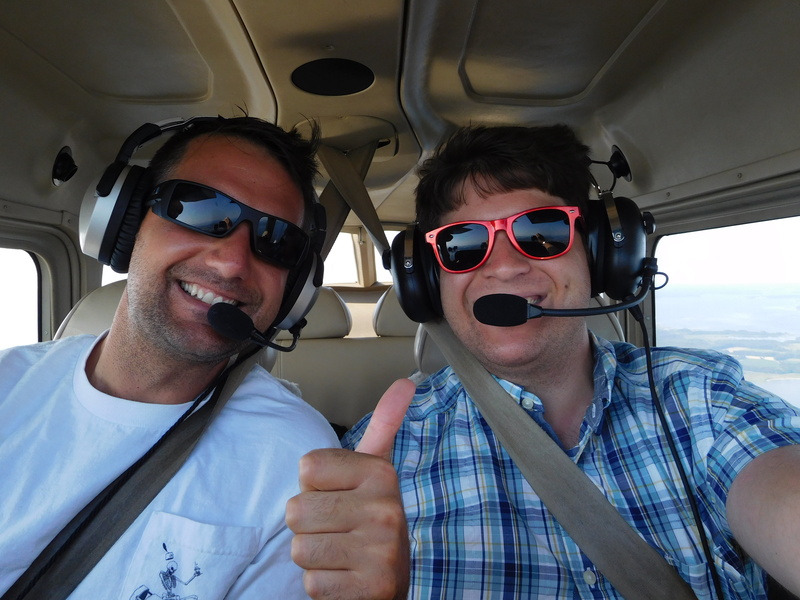 He recently made a career change from consulting to flight instructing. We both recently acquired our commercial drone pilot licenses, leading to a great discussion on why I chose this route to expand my skill set. We also talk about recent changes in the unmanned aircraft industry and the regulatory environment. We cover drone applications for urban planning, potential safety and sky clutter impacts as drones become more widespread, and the relationship with manned aircraft. We also touch on my own passion project of lidding I-5 and Hunter’s perspective on how rapidly cities are changing and facing affordability crises. Visit the Time in Flight website and Instagram page for more on the world of aviation and Hunter’s daily adventures of in the life of a flight instructor. As Seattle’s development boom continues without any sign of stopping, the city is rapidly approaching a point where Downtown is completely built out and there is no land left to build on. In many ways this is a desirable situation. Urban density has clearly documented benefits for environmental sustainability, economic vitality, and public health. However, as Downtown sees more jobs and residents arrive, decades of sluggish planning are catching up and exposing voids in important public infrastructure and services. Downtown’s housing stock grew 127 percent between 1996 and 2015, now totaling over 24,000 homes, but residents have not been supported by parallel growth rates in capital facilities like schools and parks. Downtown – and more broadly the Center City – is the thriving cultural and economic hub of the region. It encompasses and borders a variety of high-density, mixed-income, and diverse residential neighborhoods like the International District, First Hill, and Belltown. It is home to important institutions, entertainment venues, and social services used by people from across the region and state. Because Downtown affects the health and success of so many people and places it must become a more complete neighborhood. I am often met with awestruck wonder when people learn I don’t have a car. After all, driving everywhere is the American way. There are too many explanations to keep a good party conversation going, so it boils down to cost and abundance of transportation options. But I don’t get too far before I’m assured I’ll buy a car eventually or I’m declared to be a quixotic car-hating lunatic. Have you been looking for a way to get directly involved with the Lid I-5 movement? Now is your chance! Join us on Saturday, September 16, for a design charrette focused on the segment of Interstate 5 dividing Wallingford and the University District. At this free public event we’ll build a vision for reconnecting these two neighborhoods which have been divided by the Interstate 5 freeway for more than half a century. Community ideas–that is, your ideas–are needed to help broaden the conversation and build public support for this important campaign. Pedestrian links and lids for parks and affordable housing are expected to be popular concepts in a rapidly growing area that recently underwent a major upzone and is expecting a new light rail station in 2021. The event will include a brief presentation on the origins and goals of the Lid I-5 community effort, along with a summary of two previous charrettes focused in the downtown area. Participants will be divided into small teams to identify problems caused by the freeway and develop design solutions. On this episode of CascadiaCast I had a wonderful conversation with Laura Loe (Bernstein), a queer educator, musician, and gardener from Colombia, New York, Los Angeles, and Chicago who has lived in Seattle since 2009. As an advocate for fair housing policies, she adapted the YIMBY (yes in my backyard) movement to Seattle and has more recently taken on the YIOBY (yes in our backyards) perspective. Laura came to Seattle as a musician and a science teacher, and got involved in local politics during the 2015 City Council race as a campaign manager. She discovered significant barriers to getting engaged in government decisions on land use, and found herself jumping headfirst into housing advocacy citywide. She attributes the Seattle YIMBY movement’s success to Washington’s Growth Management Act, which sets a framework for concentrated growth, and the region’s light rail expansion stimulating conversations about high density development. We also dive into why certain housing messages are effective (for instance, emotions win out over data) and the tension between free market and social justice urbanists. In 2017 she was elected to Sierra Club’s Washington State Chapter Executive Committee and also serves on the Seattle Group Executive Committee. She receives half of her income through the generous support of individual patrons. Women urbanists are welcome to join her Facebook group intersectional densinistas (#yimby #yioby #seattle) to discuss the future of growing cities. Follow her on Twitter @YIMBYsea. And catch her keynote speech at the YIMBYtown 2017 conference! With crowded races in two important Seattle city elections this year, The Northwest Urbanist is weighing in with endorsements for the first time. Ballots for the August 1st primary are in your mailbox this week, so make sure to research the candidates and vote!